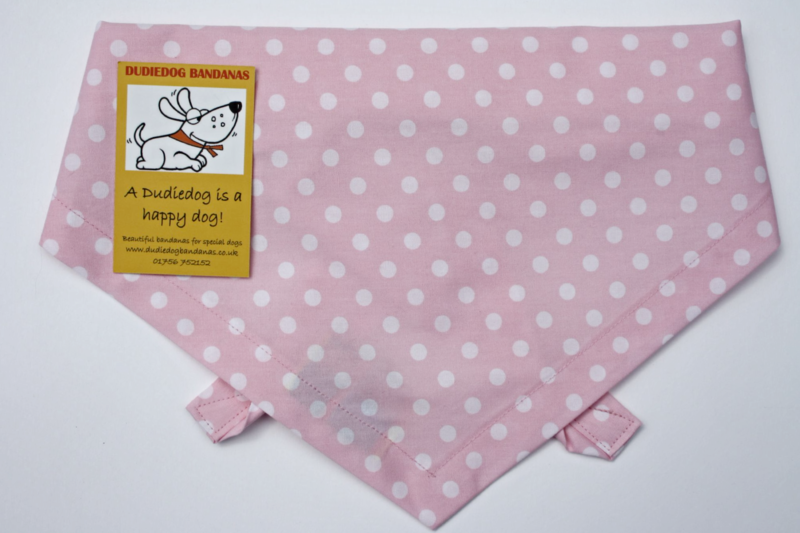 A really pretty pale pink polka dot dog bandana, perfect for any new puppy! (This is also available in pale blue for the boys!) It makes a really lovely gift, and will give a new puppy her first taste of what it's like to be a Dudiedog! It's not just for puppies of course! 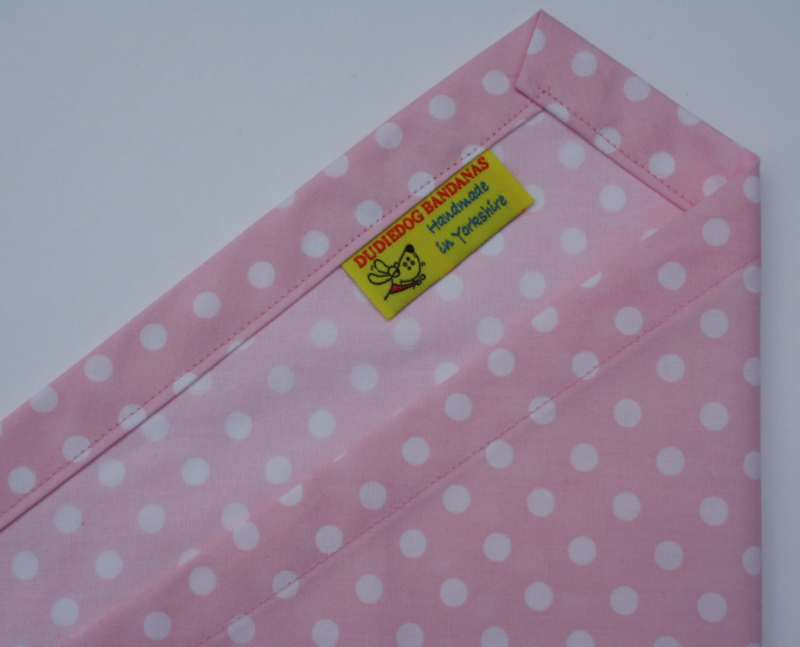 Any dog will look super-cute in this stylish polka dot bandana! Head over to our Personalised department if you'd like this embroidering with a pup's name!